Tuesday November 13 and Thursday November 15, both in the evening. 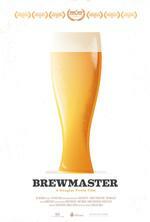 Douglas Tirola's Brewmaster artfully captures the craftsmanship, passion and innovation within the beer industry. The story follows a young ambitious New York lawyer who struggles to chase his American dream of becoming a brewmaster and a Milwaukee based professional beer educator as he attempts to become a Master Cicerone. Helping tell the story of beer are some of the best-known personalities in the industry including Garrett Oliver, Jim Koch, Vaclav Berka, Ray Daniels, Charles Papazian and Randy Mosher. Brewmaster creates a cinematic portrait of beer, those who love it, those who make it and those who are hustling to make their mark. "A look behind the curtain to examine America's obsession with beer." "An Intoxicating Look at the History and Hierarchy of Craft Brewing"
"It's a love letter to the people who work in beer, around beer and who experience beer."